The whisky that ruled our Whisky Ladies “Contributors Choice” evening was The Glenrothes … A speyside distillery known for its rich, complex vintages. For some of our whisky ladies this was an introduction, for others a welcome opportunity to revisit a favoured dram. Soooo yummy! Grounded, complex and complete. After such a super sweet nose, it was so welcome to have more depth on the palate. Like coming full cycle. Clear balance between maturing in ex-Bourbon and Sherry casks. Their description of “Autumnal fruits, alluring spice” is spot on. It was a clear favourite with the Whisky Ladies. Bouquet: Autumn orchard, custard cream biscuits, fleeting but recurrent floral notes. So what did we sample in our Whisky Ladies “Contributor’s Choice” evening? 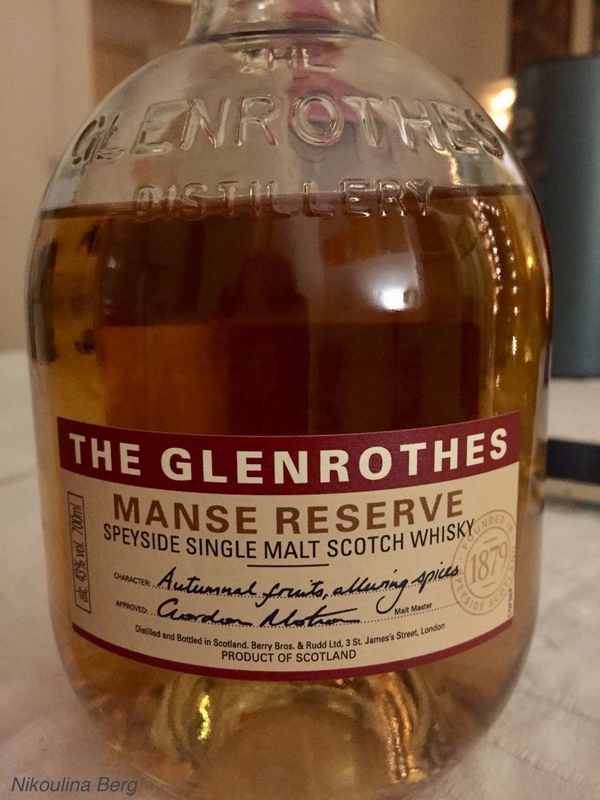 This entry was posted in Scotland, Speyside and tagged The Glenrothes, The Glenrothes Manse Reserve by Carissa Hickling. Bookmark the permalink.